Finding out the results of a college entrance examination causes a mix of emotions among its takers. While it will make the passers cry out in jubilation, it can be a moment of heartbreak for those who don’t make the cut. His determination got the attention of the school community. 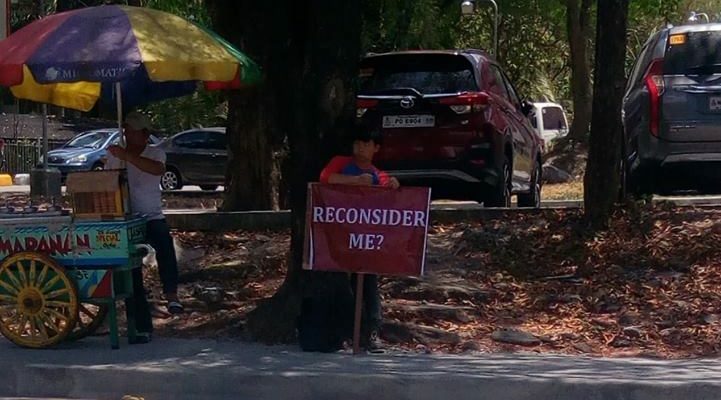 On a certain Facebook group, a member named Isabelle Lalatag shared a photo of Ino with the placard. This elicited words of encouragement and a lot of advice on what else he can do to get admitted. In an exclusive email interview, Ino shared why he wishes to get into his dream school, what happened during the day he was camping outside the registrar’s office, and how his mother has been supporting him of his dreams. Growing up, Ino’s mother exposed him to public issues and the realities marginalized communities face. This inspired his dream of serving the country by becoming a politician. And getting into the prestigious state university has become his dream because he believes he will get all the training that he needs there. “It’s where a lot of the nation’s greatest leaders picked up the knowledge and wisdom to become who they are. 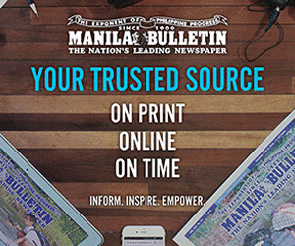 It’s the place where I can learn how to fully serve the Philippines for its betterment,” Ino explained. With such plan in place, one can only imagine his frustration when he found out he didn’t make the cut. “He burst into my room in tears, ‘Ma, I didn’t make it.’ My heart sank, I wanted to cry along with him, but I tried to stay calm so I won’t add to his worries. It was hard for me, but I felt that he needed me to be strong for the both of us,” recalled mommy Maan when her son told him the news. To ease Ino’s sadness, Maan talked about the other options he could take and assured him that things were going to be okay. But what she didn’t know was that her son already had plans of his own. A few days after the results came out, Ino left home early and told his mom that he was off to his graduation practice. But the determined boy was actually on his way to the university campus to plead his case. From 7am until 5pm, Ino stood outside the registrar’s office with his placard, hoping to get the attention of anyone who could help him out. “What I did wasn’t really a protest but more of a show of determination to get into the university and how much of an honor it would be to have the chance to study there,” he explained. His persistence indeed got the attention of many. Upon finding out his plight, the staff at the admissions heard him out. Even though they couldn’t do anything about his situation, they still showed their encouragement. Students from different colleges stopped by to chat and share their university experiences with Ino. “I also caught a glimpse of Lumad students and was told about their plight of having problems at home that inhibit their education. The Vice Chancellor of Academic affairs himself also showed support and it meant a lot to me coming from him,” Ino added. While he didn’t get what he wanted from his one-man campaign, Ino came home that day with more resolve to get into his dream university. “I feel more determined than ever, thanks to what I learned from the people there. I’ll continue to keep showing it and hope that the university sees a young boy’s dream and take a chance on me,” Ino ended.